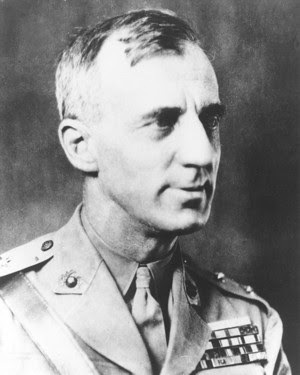 Yesterday's Person-of-Mystery was none other than Smedley Butler. Smedley Darlington Butler was a Major General in the Marine Corps and one of the most courageous and patriotic Americans this nation has known. At age 16 (almost 17), Butler lied about his age and joined the United States Marine Corps, so he could go fight in the Spanish-American War as a Second Lieutenant. He got to Cuba too late to see fighting, but was transferred to the Philippines where he fought in the Insurrection. Frequently bored in the Philippines, he had himself tattooed with a large Marine Corps "Eagle, Globe, and Anchor" emblem that ran down the front of his body from his neck to his waist (more on this later). Before I begin the next portion of Butler's life, I should note that before 1913, Marine officers were ineligible to receive the Medal of Honor, so typically for actions that would warrant a Medal of Honor, an officer would receive a brevet promotion. In the 1920s, a Brevet Medal was created to retroactively recognize these acts of valor for which only 20 were issued. 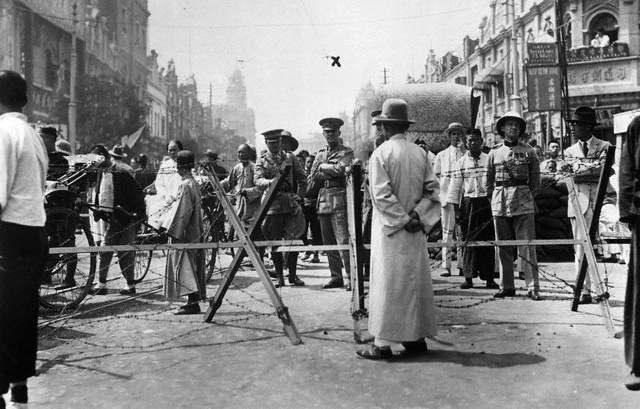 In 1900, Butler was transferred to China to help suppress the Boxer Rebellion. At the Battle of Tientsin, he noticed a fellow officer had fallen wounded outside the lines, so Butler jumped out of his trench to retrieve the officer. Butler was shot through and fell (losing the Central America portion of his tattoo), when a third man noticed this and went to their aid. The third man was similarly wounded and Butler, who was wounded himself, managed to rescue the officer and the other fellow under severe fire. For this action, Butler was awarded a brevet promotion to Captain. For the next phase of his life, Butler was an active participant of a series of US interventions in Central America known as the Banana Wars (fought primarily to protect American commercial interests). 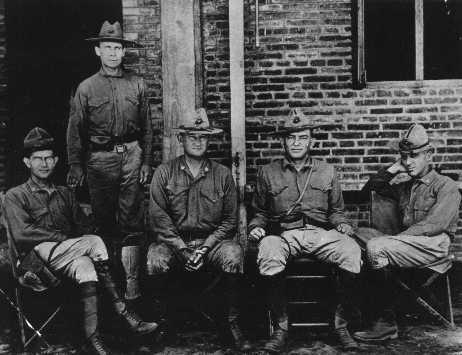 In 1903, Butler was in Puerto Rico when he was ordered to defend the US Consel in Honduras. While on this rescue mission, Butler developed some kind of tropical fever that turned his eyes bloodshot, giving him the nickname, "Old Gimlet Eye." He returned to the states, married and was again assigned to a stint in the Philippines. Taking sick leave from the military, he returned to the States in 1908 and worked for a few months as a coal miner. However, he soon returned to the military and rom 1909 to 1912 was stationed in Nicaragua and Panama, seeing numerous actions in Nicaragua. In 1914, Butler participated in a spying mission throughout Mexico to provide information to the US government in case revolutionary activities necessitated a military intervention. 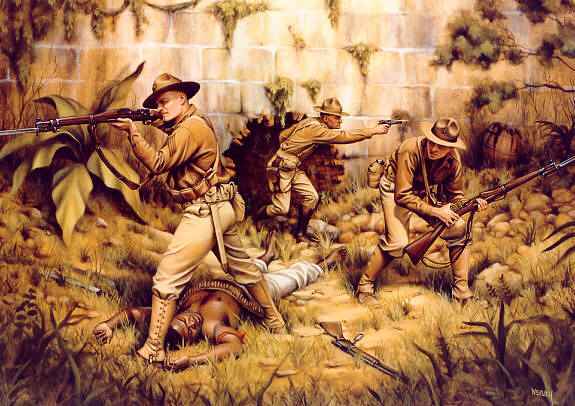 However, plans for a full US invasion were scaled back in favor of an occupation of Veracruz, Mexico. While at Veracruz, Butler earned the Medal of Honor (officers now being eligible) for leading his men in in battle on April 22. The next year, Haitian rebels known as Cacos overthrew the government on the island. The now Major Butler was conspicuous in numerous actions, frequently leading attacks on rebel positions, usually outgunned and out manned. By November, the Marines had eradicated all the rebels with the exception of 200 holed up at the old French stronghold, Fort Riviere. Many considered the Fort impossible to take with fewer than a regiment (700-1000 men) backed by artillery. Butler asked for four Companies of 24 men, but was only given three and two machine guns. After scouting the fort, he discovered a hole in the southern wall of the fort and led charge through the opening. Heavy hand-to-hand combat ensued, but at the end of the fighting, the result was 200 dead Cacos and 1 injured Marine. For this action, Assistant Secretary of the Navy Franklin Roosevelt was so impressed that he took the unusual step of awarding Butler a second Medal of Honor. Remember, this may have been his third had the medal been available to him in China. Following this action, Butler was responsible for restoring order in the nation of Haiti. During World War I, Butler was disappointed to not receive a combat command in France despite repeated requests. Instead he was placed in charge of an unsanitary disembarkation camp in Brest, France (the largest of the war). Within short order, Butler had cleaned up the camp largely through his use of duckboards to solve the ever present mud issue. 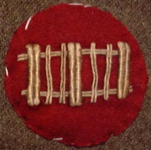 For his able administration, he was awarded the Distinguished Service Medal by both the Army and Navy and Pershing authorized a duckboard shoulder patch for units under Butler's command. After the war, Butler was placed in command of the Marine Barracks at Quantico, Virginia. 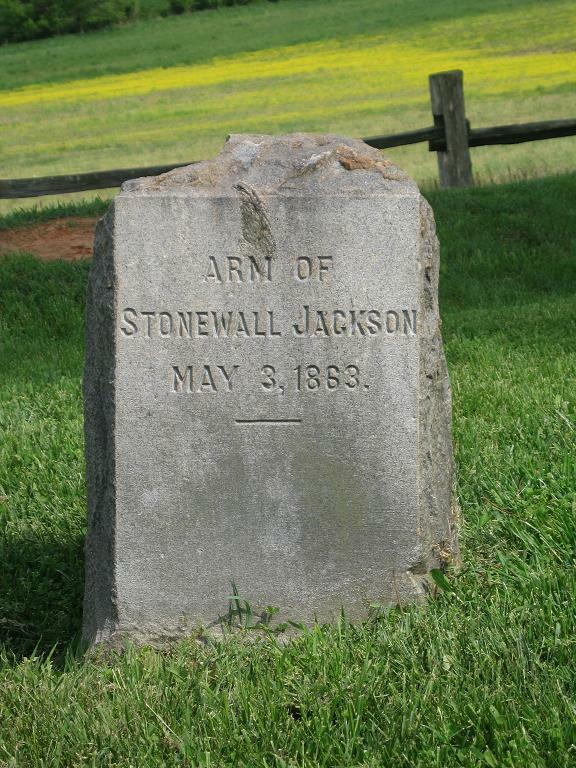 In 1921, during an exercise in the countryside, he was told by a farmer that Stonewall Jackson's arm was buried nearby. Not believing the farmer, he took a squad of Marines and dug up the area the farmer had indicated the limb was buried. To Butler's surprise, he found the limb and feeling ashamed, reburied the arm in a new box and left a plaque commemorating the spot. 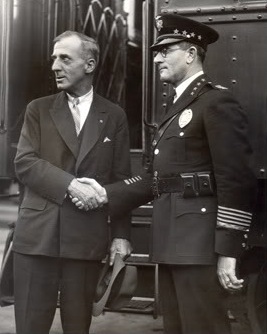 In January of 1924, the newly elected Mayor of Philadelphia asked the now famous General Butler to leave the Marines to take over the role of Director of Public Safety (head of the police and fire departments). Butler declined the offer, but the mayor petitioned President Coolidge, saying the city was too corrupt and in need of Butler's services. Butler took a leave of absence from the Marines to help enforce Prohibition in Philadelphia. The mayor soon learned that Butler was too good and within his first 48 hours had conducted raids on over 900 speakeasies. Butler also attempted to eliminate not just alcohol, but also prostitutes, gambling, and police corruption. Unfortunately, he also raided the Ritz and other highbrow places angering city elites. Although he cleaned up Philadelphia, he was forced to resign in December of 1925. Although a favorite of some, President Hoover was not a fan of Butler. 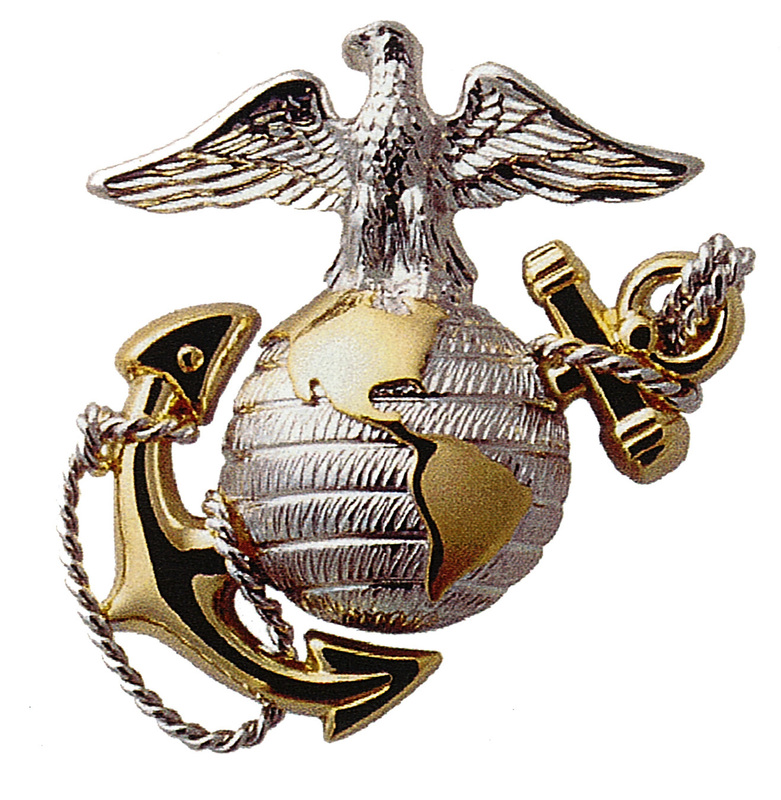 He was passed over for promotion as Commandant of the Marine Corps. Hoover then pressed for a court marshall of Butler after Gen. Butler publicly insulted the Fascist Dictator Benito Mussolini. Butler was instead issued a reprimand and retired from the military. At this point in his life, retired from the military, Butler became an outspoken public figure and supported the Bonus Army march on Washington. He was a vocal opponent of Hoover, war profiteering, military interventionism, and fascism. His outspoken beliefs gained him the admiration of many veterans, but also the ire of many in the Hoover and Roosevelt administrations. 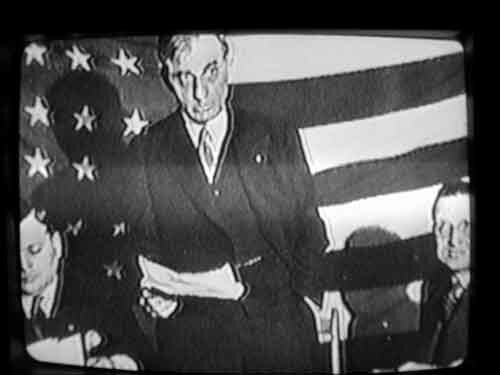 In 1934, Butler came forward with allegations that he had been approached by a group of wealthy industrialists who had pooled $3 million dollars and planned on assembling 500,000 men that Butler would lead with the intention of overthrowing FDR and replacing him with a fascist dictatorship to be headed by Hugh S. Johnson. At first this plan was widely mocked in the press as a hoax, but after a Congressional investigation, it was revealed that the plan was essentially true. No charges were ever pursued as the publicity had crushed plans for the potential coup. 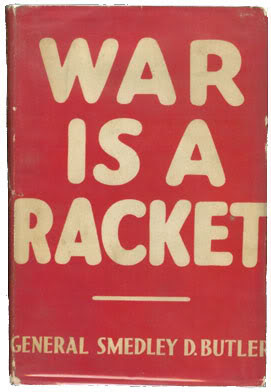 In 1935, Butler authored the book, War is a Racket, in which he criticized the use of the military to further business interests, echoing later calls against the military-industrial complex. Butler died in 1940. Very interesting. We need someone who speaks for truth. Thanks for the lesson, Nate. What an interesting life this man led. He was lucky he got to live to a ripe old age I think. We need more Gen Smedley Butler to clean up our inner cities I think. Hats off to you Nate. Another great choice for POM. You are right this is one gentlemen we should all know. I tried to solve the identity but I was looking in all the wrong places. Echoing DAG here in saying that was an awesome and admirable choice for your POM! Although your Persons-of-Mystery are hard to identify, the accompanying stories are very interesting! Merideth, he died at age 58, so no ripe old age for our Smedley. That Hugh S. Johnson seems to have been quite a character as well. Interesting stuff, Nate. Please don't get tired of it. Well, I did radio shows for more than ten years on this subject. As a United States Marine Corps (USMC) Brat, Enlisted Marine, Marine NCO, and a Marine Field Grade Officer, there have only been 03 USMC Generals who I have ever truly admired - Major General Robert E. Haebel (one of my mentors) , Lieutenant General Frank E. Petersen (who I still have a letter from upon his retirement), and Major General Smedley Butler (who was a two-time Medal of Honor Recipient and forced to retire because he called Mussolini a fascist. DUH - Mussolini is the person who coined the term "fascism."). I could never figure the connection with my grandfather, who was a doctor during WW I, until I read here that Butler was assigned to Brest, France during that war. My grandfather was the doctor there, dealing with military evecuations! They must have worked together. Thanks much for the information. I could never figure the connection with my grandfather, who was a doctor during WW I, until I read here that Butler was assigned Reviewstook to Brest, France during that war. My grandfather was the doctor there, dealing with military evecuations! They must have worked together. Thanks much for the information.